How is it that two opposites can share the same brain? Pete, from Melbourne, Australia, Jen, from New York City, USA. Pete, at 6”7’, Jen, at 5”1”. Pete, the human periscope, Jen, the human stethoscope. Pete, the millennial, Jen, the Gen-X. Pete, at inbox zero, Jen, at inbox chaos. Pete, who wears jumpers, Jen, who wears sweaters. The Long and The Short Of It is a product of these differences. It’s a weekly podcast for curious folks ready to explore the art and science of being human from every possible angle: macro, micro, Australian, American, tall, short and everything in between. Jen and Pete discuss some of their favo(u)rite things/resources since the Favo(u)rite Things episode . 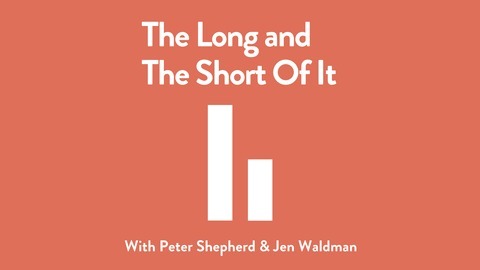 To hear more Episodes, see full transcripts and learn more about Pete and Jen, visit the podcast website https://thelongandtheshortpodcast.com/. 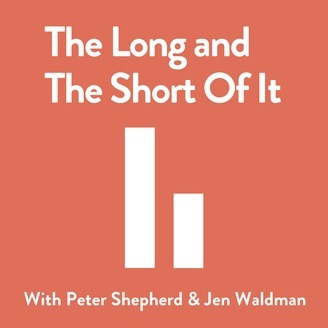 To a get in touch, send an email to hello@thelongandtheshortpodcast.com.